There’s nothing more wonderful than being a mum. From the moment our babies are born to the moment they fly the nest to start a family of they’re own, we nurture and support unconditionally. But it is important to cherish our own health and wellbeing so that we have heaps of lovely energy to share with our family. After all, children learn from their parents and if mum is happy and healthy then this will inspire the family to follow suit. We’re no strangers to change: menstruation, pregnancy, birth, menopause. So like a fine wine yoga can help us adapt to the various changes and maintain our uniqueness. Perhaps you are dealing with the tantrums of toddlers and teenagers? Or taking care of your grandchildren? 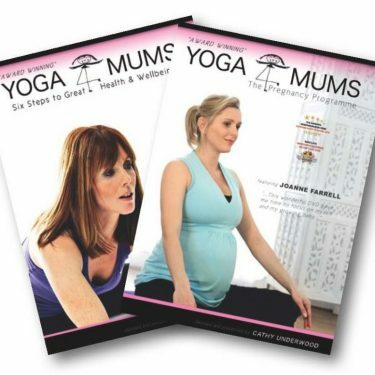 Yoga4mums offers something for every mum. Yoga is an ancient form of exercise that focuses on strength, flexibility and breathing techniques to boost physical and mental wellbeing. The main components in a yoga class are the postures, Asanas, (a series of movements designed to increase strength and flexibility) and the breathing, Pranayama. The practice originated in India about 5,000 years ago, and has been adapted in other countries in a variety of styles. What are the health benefits of yoga for you? Yoga is a safe and effective way to increase physical activity, especially strength, flexibility and balance. A regular yoga practice is beneficial for people with high blood pressure, heart disease, aches and pains, including low back pain, depression and stress. Our purpose is to inspire a better understanding and awareness of the mind and body using calming breathing techniques, gentle postures and relaxing meditations. The classes will help to release unwanted stress and tension, build strength and improve flexibility, developing a deep sense of inner peace and wellbeing. Please note that not all exercise is suitable for every’body’. It is important that you let your instructor know of any medical conditions, pregnancy or injuries you have before committing to a regular yoga exercise programme. Please consult with your GP beforehand if you have any concerns. Yoga4mums is delighted to be the recipient of the best second trimester online video award by Healthcare USA. Our videos are designed with busy mums in mind and our pregnancy yoga practice is suitable for both beginners and experienced practitioners. During pregnancy, yoga can play a key role in enhancing the experience of this precious time and empower the mother-to-be to have the most conscious birth experience. Yoga can help women enjoy their pregnancy with minimal discomfort, cultivate breath awareness and strengthen the body in preparation for labour. Yoga also offers you the opportunity to connect with your baby, and coming to classes is a great way to feel part of a community of pregnant women. It’s never too late to practise prenatal yoga! So whatever stage in your pregnancy, come along and experience the benefits of yoga under the care of our expert pregnancy yoga teachers. Baby yoga helps to attune to your baby’s needs and to calm or stimulate them as appropriate with a sense of security and wellbeing. It is beneficial for all babies, you don’t need to practice yoga or even know anything about yoga to get started with your baby. From Birth babies respond positively to the stimulation of movement and touch together. If you are based in North London you might like to practice with Cathy Underwood, founder and director of Yoga4mums. For this class children must be 10 or over and accompanied by an adult. Have you tried our yoga DVD's?